Blacks Creek is the Eastern Canada and USA dealer for D & L Timer Technologies. Their performance driven design and Canadian made products are a value added service that we are pleased to offer our customers. 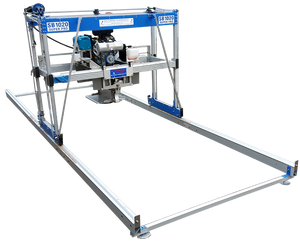 D & L’s sawmills are manufactured with stainless steel and aluminum for maximum portability and durability. Off the shelf parts allow for quick repair and replacement, thus eliminating unnecessary downtime. The unique guard design protects the operator at all times and swings with the blade. A double riving knife follows the blade to prevent entering the cut backwards when double cutting. The modular, lightweight, maintenance free rail system features easily adjustable feet and extensions. Additional value added attachments can be purchased for all models.